Dipti and Neel are an amazing couple, totally made for each other and I had an amazing time capturing their wedding events over the Easter period. The Hindu wedding ceremony took place at Woburn Abbey Sculpture Gallery near Milton Keynes, it was the first time I photographed there so I was excited to shoot in a new venue. 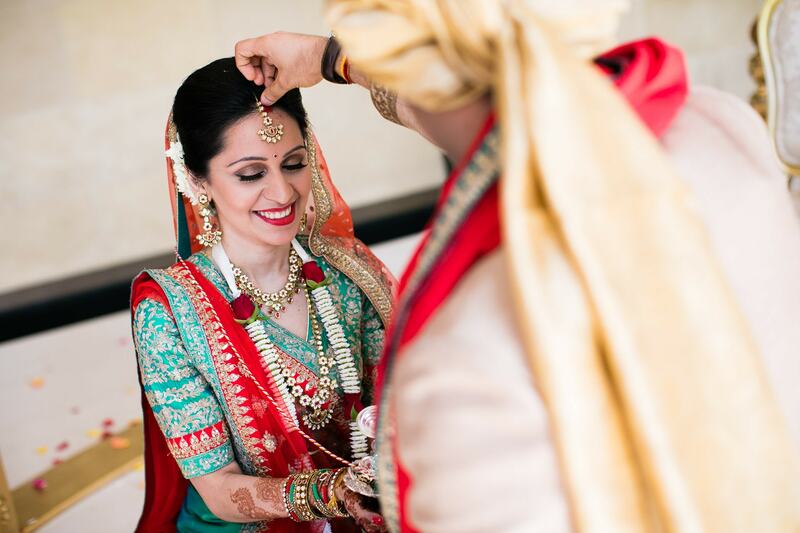 On the morning of the wedding, I went to see Dipti and could see the nerves were kicking in while she was getting ready, fortunately, from the moment Dipti entered the wedding hall, she had a huge smile on her face and it stayed throughout the ceremony. The wedding ceremony was beautifully conducted by Parth Joshi and some amazing moments were captured throughout the ceremony, one or two tears, but mainly genuine smiles and laughter which really made this wedding fun to photograph. I knew a lot of the friends at the wedding so I almost felt like a guest, everyone was really welcoming and it always makes a difference. Throughout the day, I could tell that both families are really close as the banter between them was awesome, epically during the negotiation of the shoes! A massive congrats to Dipti and Neel on an incredible wedding and I hope when you look back at your wedding album that they bring back a lifetime of memories, these are just some of my favourite moments from your wedding day which I know you will both love! Huge Thanks to Meheer for his assistance on the day. Remember to ‘Like’ my facebook page , follow me on Instagram @sanjaydgohil and for those of you on Twitter, please do follow me @sanjaydgohil.